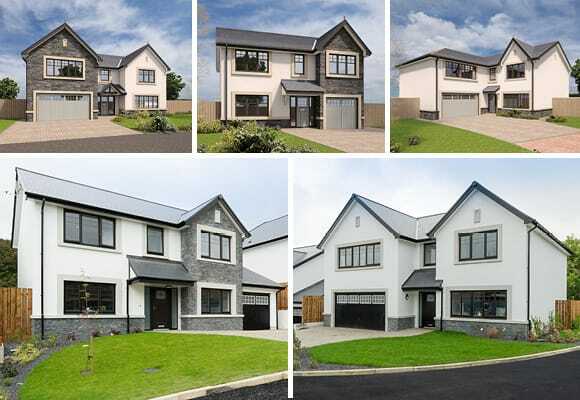 Located on a cul-de-sac set off the Ballikillowey Road, Bradda View Grove is an exclusive collection of only 12 detached four and five bed homes. Work at Bradda View Grove is nearing completion and there is now only one property remaining for sale. The majority of the homes at the development have sold off plan, meaning home-buyers were able to customise their interiors, from kitchen worktops to colour schemes. “Hartford were extremely helpful in allowing us to make personalised choices throughout the build. They guided us through the tailoring process and the level of communication was exceptional. We were kept well informed and were always welcome to visit the development to see our house being built. As the first homeowners to move into Bradda View Grove we have also experienced minimal disruption, as the staff on the ground are extremely considerate, ensuring the site is clean and secure at all times. To find out more about Bradda View Grove and the last remaining 5-bed detached property, see here.